The Ezi-Pak carry case is the perfect unit to take your small parts with you wherever you go. 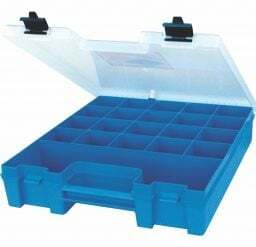 It has 21 compartments in total with a clear polycarbonate lid that locks in place to keep your small parts safe and secure when in transit, giving you the benefit of visibility. Self-locking Ezi-Pak carry cases are available in two versions: single case and modular frame. 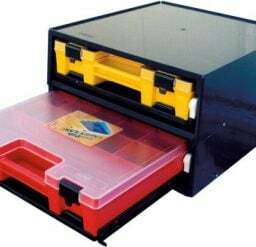 The Ezi-Pak modular frame is made of durable ABS plastic with full extension, heavy-duty drawer slides and removable base plate. Mount it on a workbench or add castors for extra mobility.